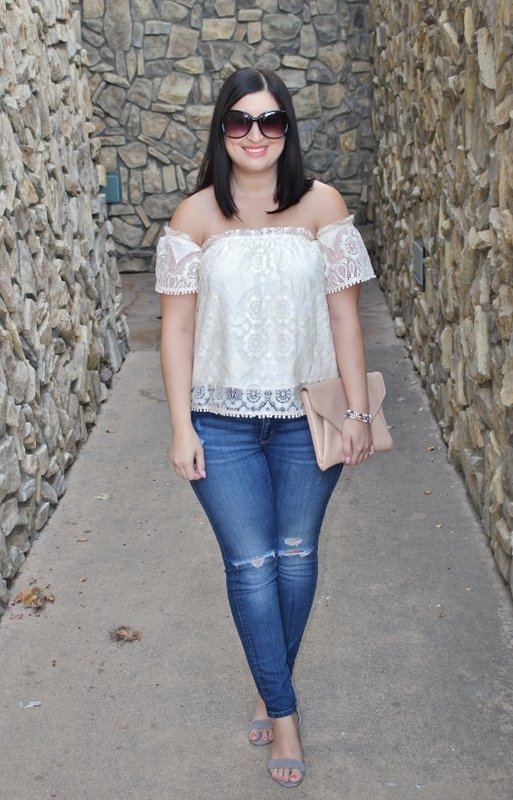 Heartloom top, similar on sale! I attended my first country music concert on Saturday with my best friend. She loves country, so I was happy to go along with her even though I'm a total newbie to that style of music. But hey, I'll listen to anything with a good beat and fun lyrics! Not to mention the excitement of seeing someone performing live. There's nothing better. I try to go to shows as often as I possibly can. My taste is more rock though. I like classic rock, alternative, and anything from the 90's. Next month my friends and I are going to see Blink-182 and I seriously cannot wait because I've loved that band since I was in middle school. Anyway, back to Saturday. I wasn't quite sure what to expect, but Luke Bryan puts on a great show and we had a blast. I have to admit, he's pretty damn cute! Tight jeans and all :) I get why there were throngs of women there to get a look at him. 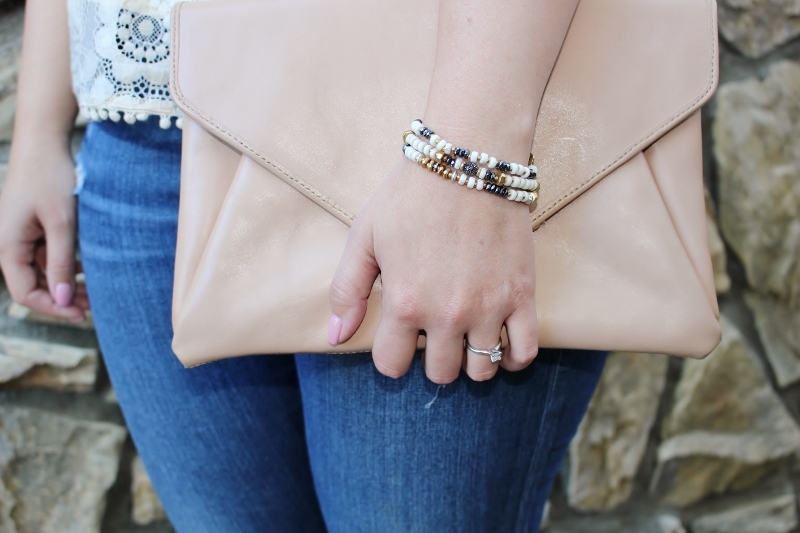 Oh, and thank you to everyone who entered my Stella & Dot giveaway! The winner is Amy Ann Arnold! Congrats! I will be emailing you shortly. This look is so cute and that top is adorable, it is the perfect length. Happy you had fun at the concert, the energy always make them fun. So glad you had fun at the concert and...were you able to get this top repaired?? I think this is the one you talked about on snapchat that had the little incident in the car? I have never been able to get into country, my music taste is much more aligned with yours :) That top is so pretty! I'm with you, I usually enjoy a concert no matter the music because it's just fun. Love your outfit! Great top. Is that the one from your snap story? Thanks again for the giveaway. So excited!! That top is gorgeous! I love how you styled it with other neutrals!